These drop earrings are a collector's dream due to their rarity. 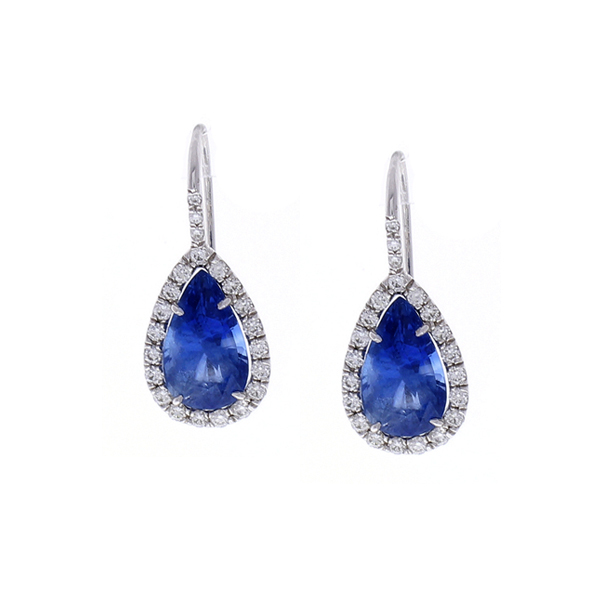 Featuring two perfectly matched GIA certified pear-shaped non-heated sapphires totaling 8.86 carats. The gem source is Sri Lanka; they are both unheated. Its color, luster, and transparency are excellent. They exhibit a deep vibrant royal blue color. Glittering round brilliant cut diamonds are prong set around each sapphire and on the top front of each earring totaling 1.08 carats. Crafted in brightly polished platinum, these unheated top-end gem earrings are perfect for discerning gem buyers. Accompanied by a GIA certification upon purchase.